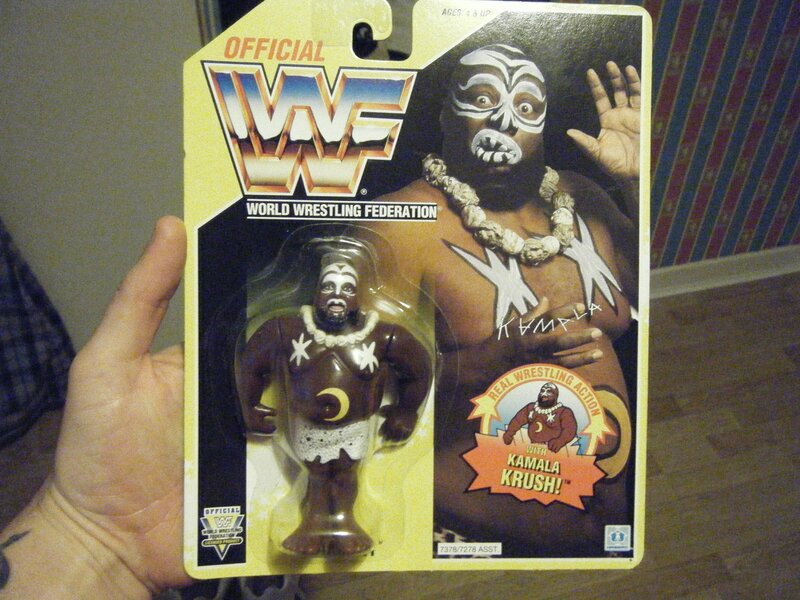 Only about 24 Kamala figures were produced with a moon on the belly! I have heard many different reasons over the years as to why the moon version was never mass released. * Someone made a mistake at the factory, simple as that. * It could have been done on purpose, knowing that a very rare carded action figure, made in very small numbers, could be worth a lot of money in years to come. Rare action figures were not a new thing in the early 90's, so someone at the factory may have been a very clever person and realised, a simple miss print could lead to a huge investment. * They may have been test runs, but for whatever reason decided to go with the star. Maybe the machine template that printed the moon was faulty, instead of waiting for a replacement, they went with a quicker option of just using a non broken machine that had a star template. 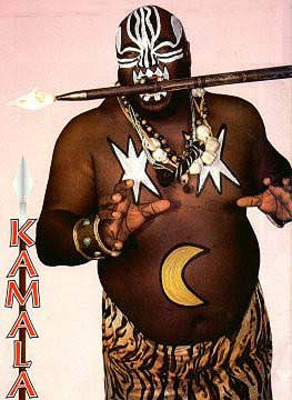 * Kamala/Harris owned the rights to Kamala (or at least the look), maybe it was a way of WWF/Hasbro getting around legalities of this copyrights. People are faking this figure all of the time, its by far the quickest paint job ever (in the custom world) and if you can glue the bubble on to a card, then yeah, some people will be fooled and will splash big bucks on what is simply a custom scam. 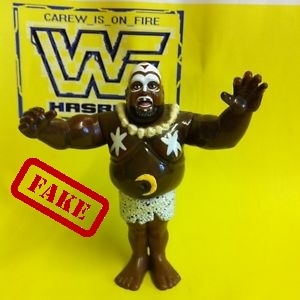 You need to be very careful when buying a WWF Hasbro Kamala with Moon on Belly. Vielen Dank an insgesamt 40507 Besucher (94348 Hits) seit dem 08.11.2013! !